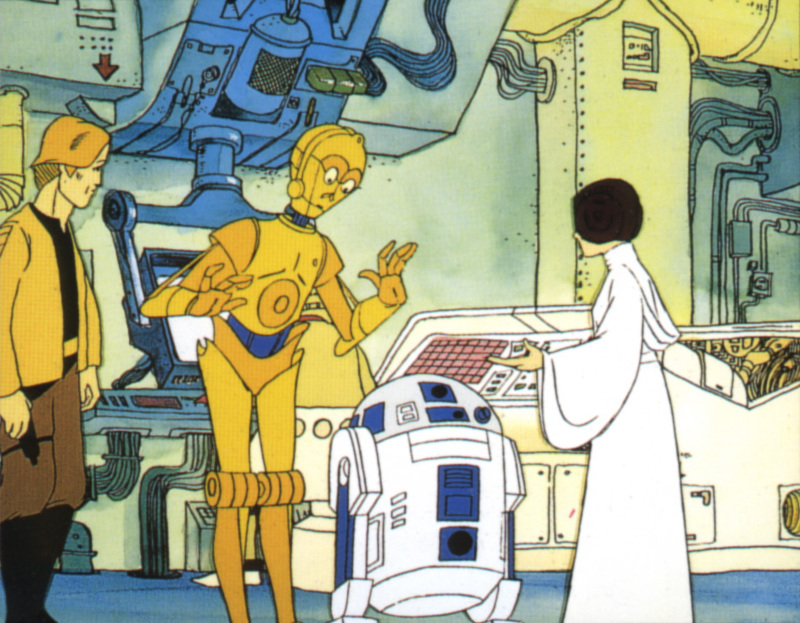 C-3PO is a protocol and translation droid who has found himself in quite a few unlikely adventures. His counterpart is R2-D2, a short and feisty astromech droid. 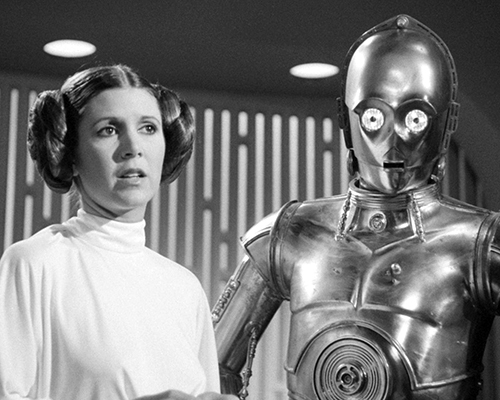 Threepio is very dedicated to Princess Leia, and often assists her in her duties with the Rebel Alliance, which include communications with Chewbacca’s family while he and Han Solo are away visiting there. 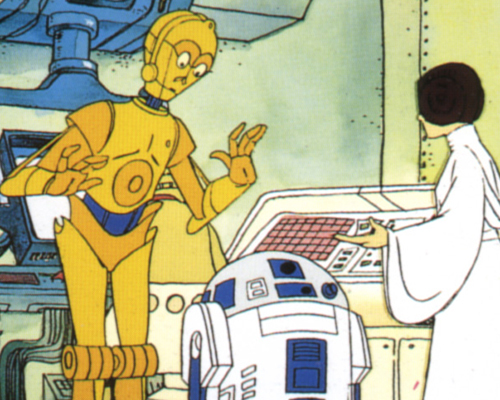 Details: In The Star Wars Holiday Special, Threepio can be seen with Leia in some sort of control room. 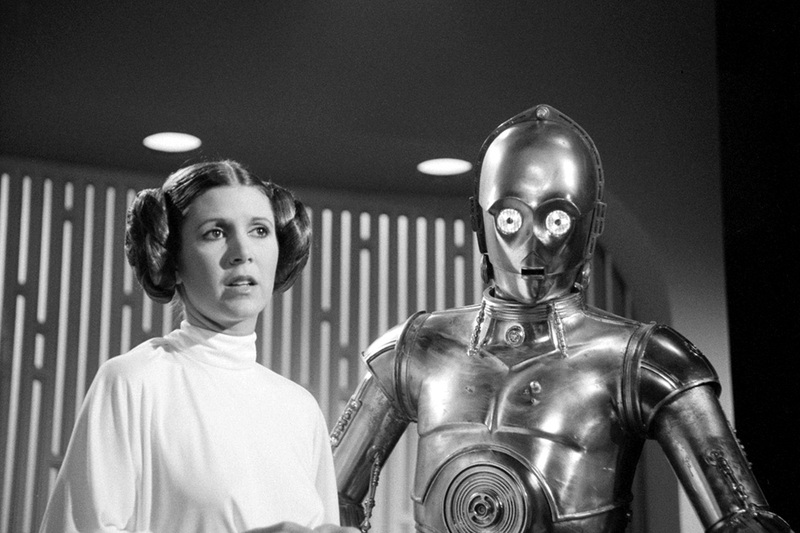 According to the script, this is at the Rebel headquarters.